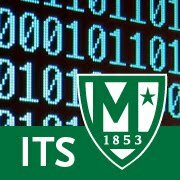 Manhattan College ITS Blog: Important Change to Client Services Hours of Operation Effective Immediately! Important Change to Client Services Hours of Operation Effective Immediately! Monday to Thursday 7:30 a.m - 7:00 p.m.
Monday to Thursday 7:30 a.m.- 7:00 p.m.
Friday 7:30 a.m.- 5:00 p.m.